As the days grow longer and warmer, some of us feel the need to free ourselves and our homes of unwanted items. Spring cleaning is upon us. Before taking your supplies to GoodWill or other sources, please consider donating to the school. Our 7th grade students will be exploring art on their Marine Biology trip in late May. We are looking for art and craft supplies to help support our parents who will be teaching classes on this trip. We are not looking for your recyclables; we are looking for actual art or craft supplies that we can reuse. 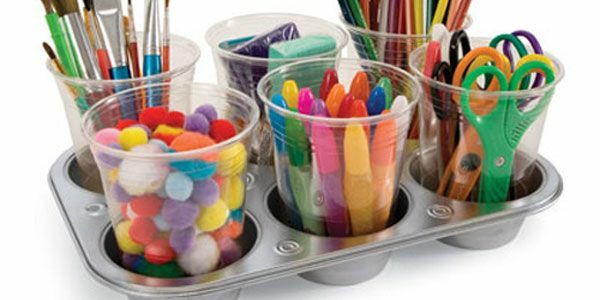 Maybe your kids have grown up and you no longer need an art supply studio in the house? Maybe you frequent yard sales and happen to see a bag of buttons or beads? Maybe a relative is cleaning out their basement? Please bring all donated items to the office and they will make their way to Marie. If you have a question about a particular item, email Marie at sunnysidefieldstudies@gmail.com with your query. The 7th graders of Sunnyside thank you!